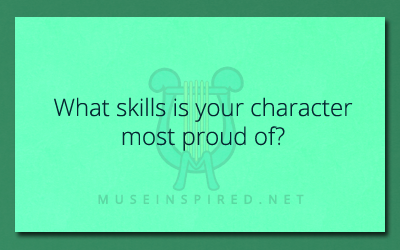 Character Development – What skill is your character most proud of? Character Development - Describe their eyes in detail. Character Development - What do they wear to bed? Character Development - Is there a creature your character fears or doesn't like?